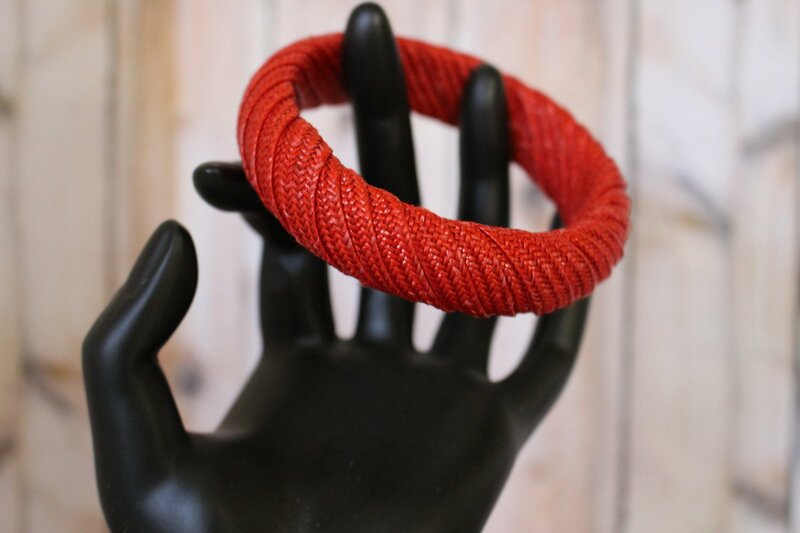 A beautiful Spicy Red vintage bangle bracelet. Chunky but light made with a material that feels like wicker but is softer. Lovely color that would go very well with your Fall wardrobe. Great accessory for your casual dress outfit.